Welcome to the exclusive luxury holiday house CASA LEONARDO! 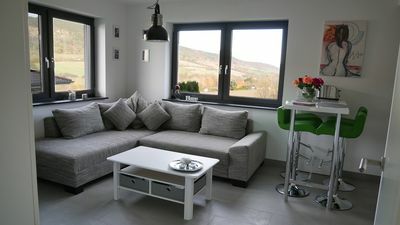 Whether couples, singles, families with & amp; without children and dog owners - in this luxury vacation home you will find relaxation & amp; Wellness within walking distance to tee 1 of the Castle Course (1 of 5 golf courses). Relax in a high quality feel-good & amp; Wellness ambiance. 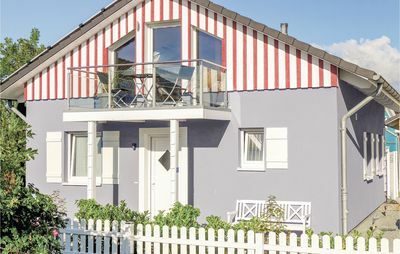 The cottage has 128 m2 of living space (spread over 2 levels) with a light-filled living & amp; Dining area with open, fully equipped kitchen, 3 comfortable bedrooms, 2 luxury bathrooms, in-house sauna, storage room with washing machine, in-house outdoor hot tub (year-round 38 degrees C warm) in the garden (for sole use), balcony, terrace with charcoal grill ( Please bring barbecue charcoal) & amp; owner lockable storage shed in the garden area (z. To accommodate your golfing equipment & amp; Cycles). A per floor adjustable floor heating ensures throughout the house for pleasant warmth. The house is equipped with insect protection (except Veluxfenster). 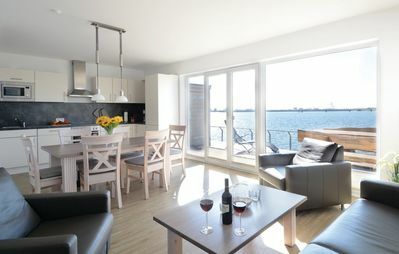 Upon entering the cottage, you will cross the hall area with cloakroom & amp; Full-body mirror & amp; reach the spacious, light-filled living & amp; Dining area with open, fully equipped kitchen. Furthermore, there are at this level one of 3 feel-good bedrooms and one of 2 luxury bathrooms. From the feel-good corner sofa, you can operate the high-quality gas fireplace in the living area via remote control, which provides additional, adjustable heat for underfloor heating on cooler days. Enjoy relaxed TV or DVD entertainment thanks to the wall-mounted, large Full HD flat screen wall mounted on an exclusive natural stone wall. A home cinema system with integrated DVD player ensures an optimal sound experience. At the rectangular dining table you can sit on comfortable 6 chairs & amp; enjoy a get-together. A high chair is optional bookable. From the living area & amp; the EC bedroom you enter the south facing terrace with grill & amp; the adjoining own garden. Here you can relax year-round in the 38 ° C heated, on-site outdoor hot tub. On 2 sun loungers in the garden area you can enjoy extensive sunbathing. A high-quality staircase leads to the equally spacious first floor. Here are 2 more feel-good bedrooms & amp; & Amp; 1 wellness bath with sauna. Both upstairs bedrooms are each equipped with a comfortable double bed (180 x 200 cm - high quality mattresses, pillows and duvets). From one of the first floor bedrooms you enter the sun balcony (with 2 garden chairs & 1 garden table), which is often used as an additional retreat. 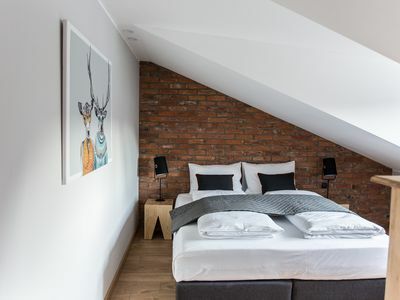 Sloping ceilings lend the first floor bedrooms a particularly cozy atmosphere. 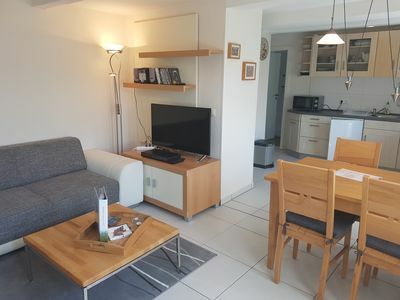 All 3 bedrooms at this vacation rental feature wall-mounted Full HD flat screens & amp; spacious wardrobes with ample storage space for your holiday wardrobe. Insect protection (stenter) & amp; Blackout curtains / blinds will make your dreams last as long as possible. 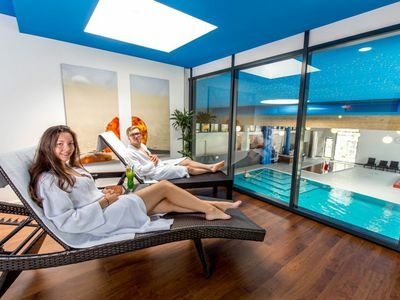 Experience spa fun in the luxury spa bath on the first floor with sauna, floor-level, glass-enclosed Walk-in-Raindance shower, large design vanity, towel warmer, toilet with soft-Close & amp; Built-in radio plus iPhone docking station. Here you can relax with extensive sauna sessions. Furthermore, there is a separate storage room on the upper floor with washing machine (please bring your own powder) for free use. Relax in your own garden & amp; relax on 2 sun loungers. On high-quality garden furniture (6 garden chairs, 1 garden table, 1 parasol, 2 sun loungers) you can enjoy a get-together. Delicious grilled specialties are prepared on the brick walled charcoal grill (please bring barbecue charcoal). 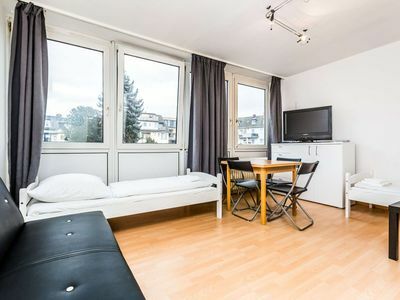 From golfing, swimming in the nearby Fleesensee, cycling (bike rental within walking distance), the many possible leisure activities or just from the stress of everyday life you can relax in the hotel's outdoor Jacuzzi in the garden. Relax all year round at 38 ° C water temperature, bubbling massage pleasure from Hydro-Massagejet nozzles. The pool-integrated, dimmable multi-LED lights with changing colors let your holiday more than relax in any season. 2 parking spaces are available at the house. 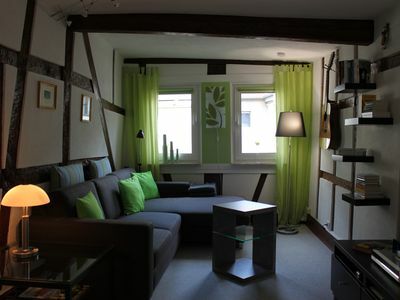 This non-smoking house is ideal for 1-6 persons. In addition, max. the placement of a baby (7. Person) in a baby travel bed. Your dog is allowed in this house (please specify when booking). The owners of all other species (cats, etc.) we ask for your understanding that we do not allow the taking of their pets. - Large, wall-mounted full HD flat screen connected to a home theater system incl. DVD player. - High-quality gas fireplace in the living area, comfortably controllable from the sofa via remote control. - Sufficient crockery, glasses, cutlery, pots, pans & amp; many more useful cooking utensils. - Insect protection (stenter on windows & patio door, except Velux). - Storeroom in the upper floor incl. Washing machine (powder please bring your own). - Laptop Safe, Vacuum Cleaner, Clothes Rack, Iron & Ironing Board Ironing board. - Non-smoking house, smoking is allowed outside only. - Dog / s are gg. Charge allowed, other pets are def in this cottage. not allowed. - 4 wellness cards (discounts) for the SPAworld Fleesensee. Look forward to a relaxed feel-good & amp; Wellness vacation in the family-friendly 128 m² holiday house CASA LEONARDO! 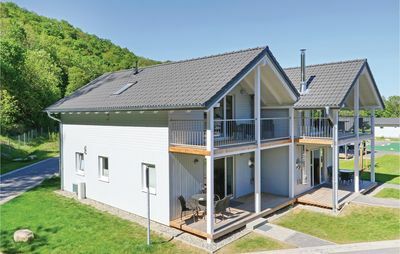 Our holiday guests receive many special conditions from our cooperation partners, such as: Golf Club Fleesensee, Fleesensee SPA & amp; at the bicycle rental. For booking requests / queries about this beautiful holiday home we are happy to help you by email or by phone. We look forward to welcoming you at CASA LEONARDO as a guest and wish you a relaxing stay already today.